Spending New Year’s Day in New York? Then you already have a great start to the year! But what does New York have to offer on January 1st? There are many activities to choose from: getting some fresh air while ice skating (or taking a dive! 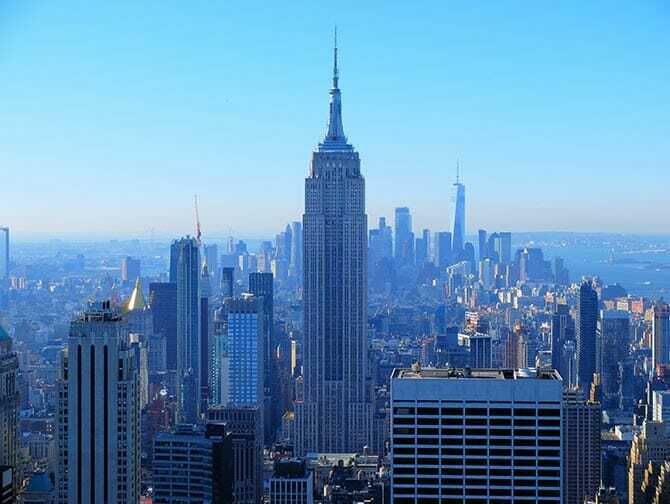 ), visiting a museum, having a delicious brunch or enjoying the beautiful views from the Top of the Rock. Check my calendar to see what you can do on New Year’s Day or read on for my tips! Many people go out celebrating and partying, there are many parties and activities on New Year’s Eve in New York. Most people are also free on New Year’s Day, so they can recuperate from the night before. After you have recovered from all the partying, it’s time to head into the city! 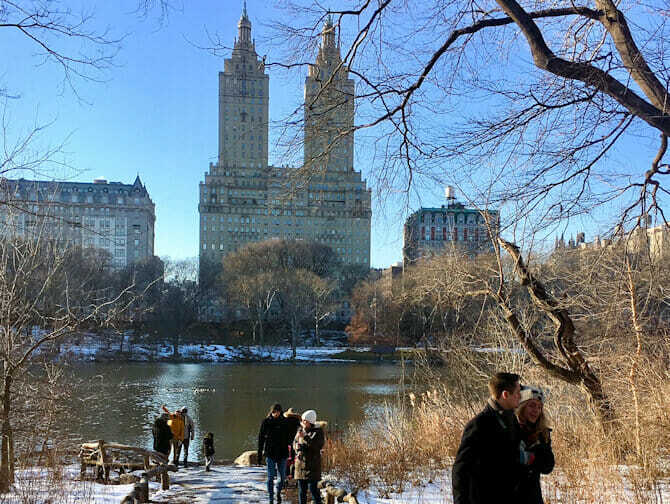 What can you do on New Year’s Day in New York? There are actually a lot of fun things to do on New Year’s Day. Almost everything is open and, because the new year has just begun, there are a few extra activities in the city! On New Year’s Day in New York it’s extremely popular to go out for brunch, if you want to do this too, you definitely should book in advance to secure seating. A nice option is a Bottomless Mimosa Brunch on my favourite boat: the Bateaux. After a big brunch, it is a popular tradition for New Yorkers to go to an afternoon movie. There are two movie theatres that I would recommend: the AMC or Regal on 42nd Street. It is wonderful to get some fresh air after New Year’s Eve. 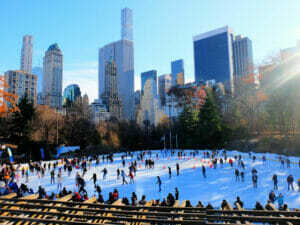 You can go ice skating on one of New York’s rinks either at Rockefeller Center, Bryant Park or Central Park. It’s definitely fun to take a walk on New Year’s Day in Central Park and add the Central Park Zoo to your to do list. All of the zoos, except for the Bronx Zoo, are open on New Year’s Day. Most of the museums in New York are open on New Year’s Day but the Met will be closed. 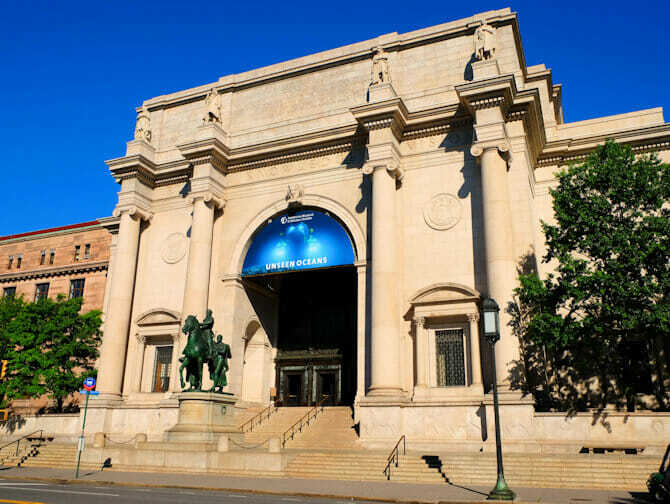 Visit the renowned MoMA or American Museum of Natural History. This is a great thing to do when it’s very cold outside: This does mean, however, that it is likely to be very crowded inside. Do you want to go shopping? You can! A lot of shops are open on New Year’s Day. Alternatively, you can buy tickets for the bus to Woodbury Common in New York and go outlet shopping. Don’t forget to bring an empty suitcase so you can bring home some good bargains. Of course, visiting the Top of the Rock and enjoying the breathtaking views on the first day of the year is a great thing to do. 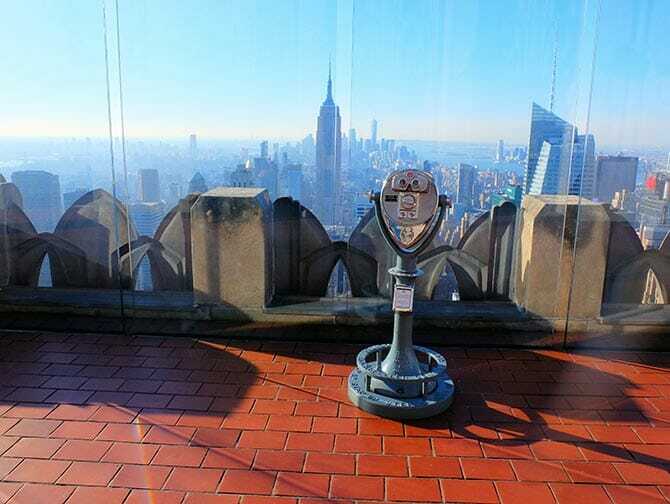 Please bear in mind that it is best to visit the observation deck when it’s not cloudy for the best views of the city. And wrap up very warm as it can be extremely cold up on the observation deck! There are a lot of Broadway musicals playing on New Year’s Day in New York. After a busy day full of brunch, ice skating or exploring, visiting a Broadway show is the perfect end to the first day of January. You can relax and fully recover from New Year’s Eve. Note, not all shows are playing on New Years Day so do check beforehand. The Salute to Vienna, the annual concert at Lincoln Center’s David Geffen Hall, is also worthwhile visiting. Are you up for a New Year’s dive? Or do you prefer to watch others brave the cold? Then go to the annual Polar Bears Club swim on Coney Island, a true New York tradition. The event on Coney Island is so popular that it is featured on TV and in the newspapers every year. It’s a great way to get over a hangover!